The calendar program on your iPhone or iPad is a great way to keep track of appointments and deadlines, but how do you add events to your calendar so that you’re sure to remember them? In this video we will take a look at two different ways of adding event information into the calendar, one through the calendar app, and the other through Siri. 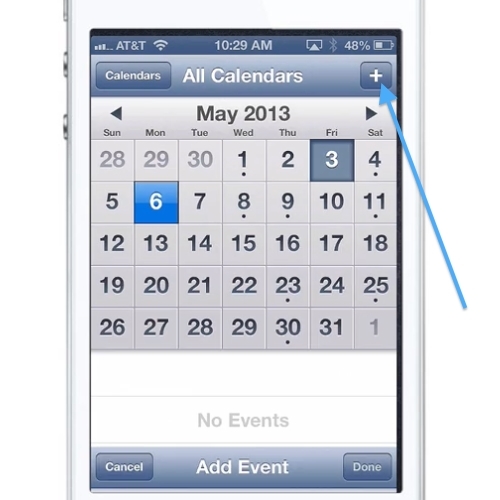 Once you’re inside the Calendar App, select the date that you want to add an event and tap the Plus Button in the upper right corner of the screen. This will bring you to the event details screen where you can add more detailed information about the event that you are adding. Enter a title for your event, as well as a starting and ending time. 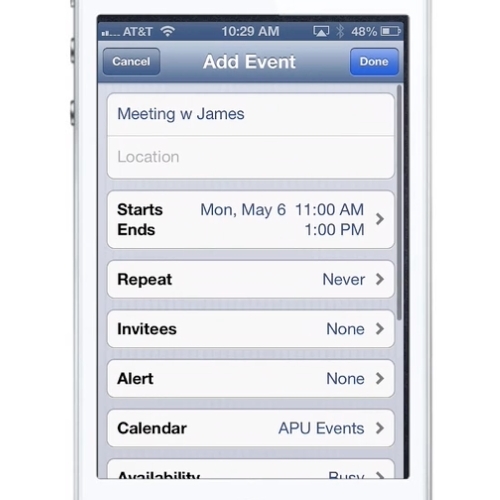 On this screen you can also customize many other details including, choosing which Calendar the event will be added to, whether this is a repeating event, if others will be invited to the event, and whether you want to set an alert for the event. Click “Done” and the event is added to your calendar and is represented by a dot on the date selected.. In addition to inputting information manually, you can also use Siri to speak the information into the phone. 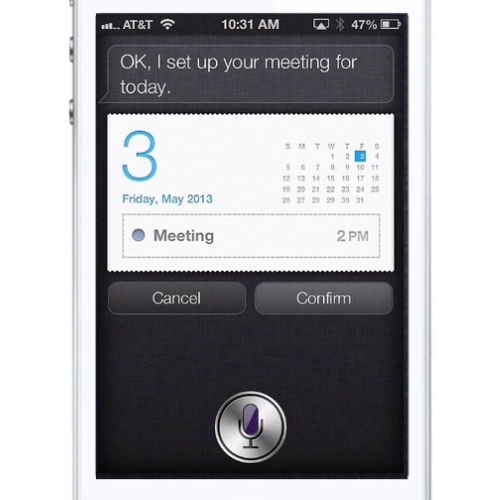 From the Home screen press and hold the Home button and the Siri interface will appear. Speak the information about the event in natural language and the event will be added to your calendar.